Saffron Barker is a social media influencer and band member of the Born2Blush. Saffron Barker net worth is an estimated $350,000. Saffron’s content is mainly do it yourself videos and make up tutorials. She also does challenge videos and pranks. The English YouTube personality has several viral videos to her name including; Boyfriend Does My Makeup, Types of relationship and The chaspstick kissing challenge!! Backer and three other friends formed the Born2Blush band, participating in the Open Mic UK Competition and releasing the 24seven single. 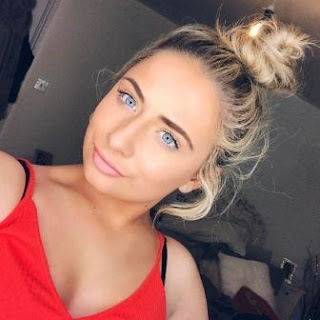 Saffron Barker YouTube channel has 830,597 subscribers as of early April 2017 and has accumulated 57,308,946 views since July 2015. She uploads six to eight videos a month. In the last month, the channel has gained 4,114,230 video views and 39,943 new subscribers. SaffronBarkerVlogs, her second YouTube channel has 498,105 subscribers as of early April 2017 and has accumulated over 62 million views since launch in October 2015. In the last month, the channel has gained 6,315,090 video views and 29,811 new subscribers. We estimate an income of around $120,000 from the two channels over the next twelve months. Saffron Barker net worth is boosted by merchandise sales on her website.